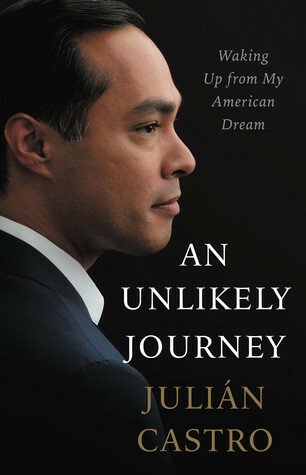 This entry was posted on Thursday, February 7, 2019 and is filed under 2020 Election,An Unlikely Journey,Book Review,Julian Castro,Memoir,Politics,president. You can follow any responses to this entry through the RSS 2.0. You can leave a response. I will be interested to see what happens in the next election. This sounds informative, and I am glad you found his story compelling. I was trying to think back to my first awareness of a political figure. It is interesting to see so many people announce at once. I'm ready for a crowded race! I haven't been following the election news that much...it's very draining. This seems like an interesting book to start the conversation. It can be such a chore to keep up with everything happening in politics. I'm reading books anyway, so I look at it as an easier way to stay informed. I don't really follow politics, so Julian Castro is a new name for me. I can't believe it's already time to think about elections again. It seems like we just went through the previous one! Great review. I don't know much about Castro at all but I'm curious about his politics. I love San Antonio! Haven't been there in years, though. Spent ten years in TC before moving back home to New England. Culture shock before and after! What part of Texas did you live in?! I meant TX, not TC. That's a bummer that his memoir lost the momentum for you when it headed into politicking. He has a great story it seems and that is neat how you noted the personal connection. Tensions for the future election are definitely already running high. Thanks for your thoughts on this one, Ethan! I agree! This coming election is already so stressful! Yeah his political aspirations overshadow his compelling story.